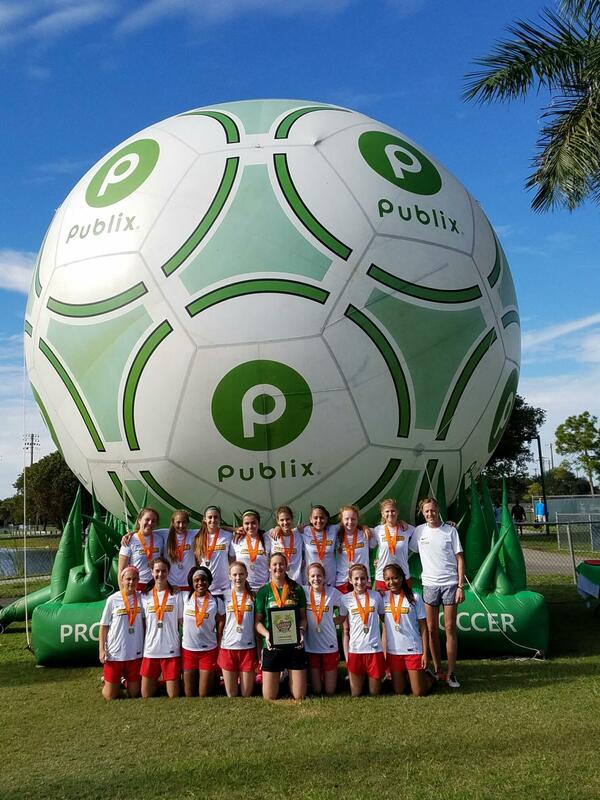 The Chargers Clearwater G2002 Premier team, with Head Coach Kelli Haemmelman, became Champions today at the Orange Classic International Girls Soccer Tournament this week. Playing 3 pool games: tied 2-2 against Bonita Springs, won 1-0 against West Pines United and won 5-0 against Sunrise Sting. Then making it through the semi-finals with a 2-1 win against Dacula Revolution from Georgia, they were on to the finals which was a hard fought battle against Palm Beach Gardens ending in a 1-1 tie in regulation time, but the Charger Ladies took the win in Pks.